This entry was posted on August 18, 2008 at 9:59 pm	and is filed under Chicken. 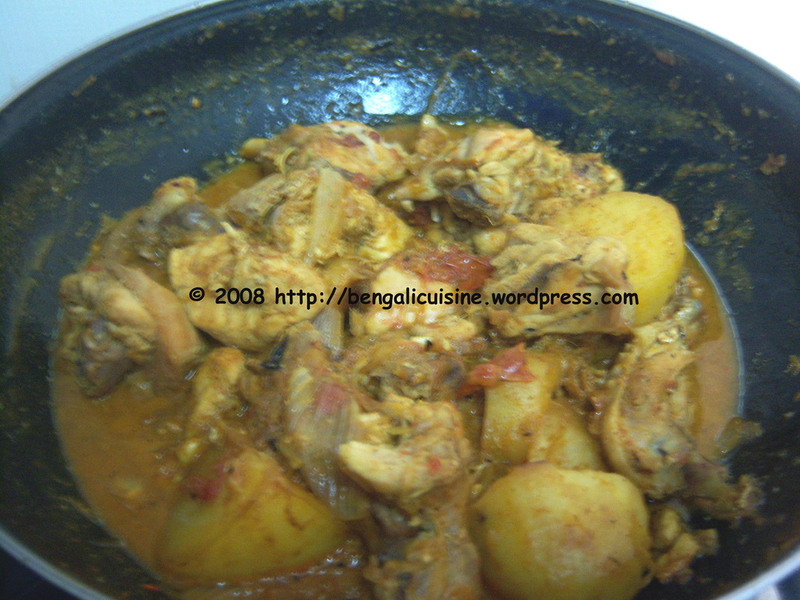 Tagged: bangla chicken, bangla ranna, chicken and onion, chicken in onion gravy, chicken spicy, chicken with potato, chnicken, jhal murgi, murgi, peyaj and murgi. You can follow any responses to this entry through the RSS 2.0 feed. You can leave a response, or trackback from your own site.